Recording engineers gathered for “In Studio: 500 Series Module Shootout,” held at Morrisound Recording in Tampa, Florida, presented by The Recording Academy® Florida Chapter and the Producers & Engineers Wing® and sponsored by GC Pro. WESTLAKE VILLAGE, CA, October 28, 2013 — Guitar Center Professional (GC Pro), the outside sales division of Guitar Center that focuses on the needs of professional users, recently helped sponsor “In Studio: 500 Series Module Shootout,” presented by The Recording Academy® Florida Chapter and the Producers & Engineers Wing®. This was just the latest event GC Pro has supported as part of its long-term relationship with The Recording Academy and the P&E Wing. Held at Morrisound Recording in Tampa, Florida, “In Studio: 500 Series Module Shootout,” gave attendees an up-close-and-personal look at the latest 500 Series Module offerings with questions answered by two of South Florida’s most respected audio pros, GRAMMY®/Latin GRAMMY®-winning engineer Eric Schilling and producer/engineer Tom Morris. 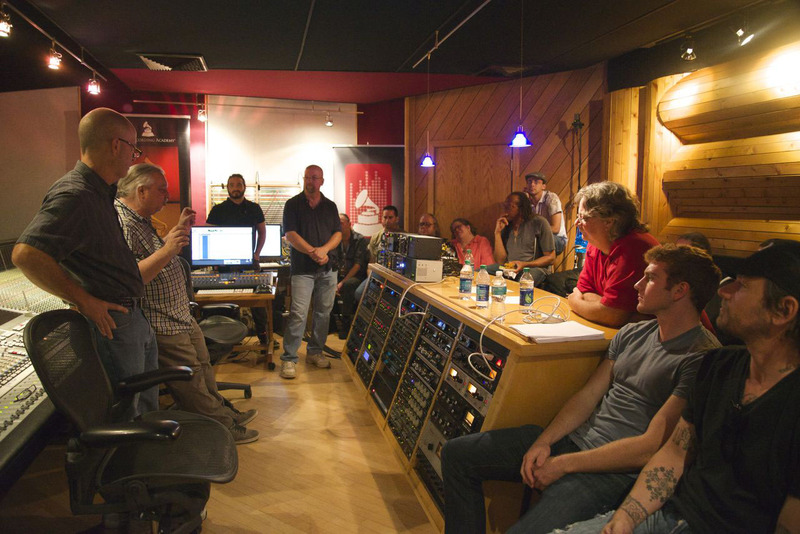 Photo Caption: Recording engineers gathered for “In Studio: 500 Series Module Shootout,” held at Morrisound Recording in Tampa, Florida, presented by The Recording Academy® Florida Chapter and the Producers & Engineers Wing® and sponsored by GC Pro. Guitar Center is the leading United States retailer of guitars, amplifiers, percussion, keyboards and pro-audio and recording equipment. Our retail store subsidiary operates 254 Guitar Center stores across the United States. In addition, our Music & Arts division operates 101 retail stores specializing in band and orchestra instruments for sale and rental, serving teachers, band directors, college professors and students. We also are the largest direct response retailer of musical instruments and related products in the United States through our wholly owned subsidiary; Musician’s Friend, Inc., and its catalogs and owned or operated websites. More information on Guitar Center can be found by visiting the Company’s website at www.guitarcenter.com.